"The contemplation of celestial things will make a man both speak and think more sublimely and magnificently when he descends to human affairs." This article views the planets in the signs which offer the greatest ease of expression and those which require work and effort in order to bring out their finest expression. Each planet has its own particular qualities and correspondences, and each sign of the zodiac has its own distinctive attributes and characteristics. A planet can work harmoniously in certain signs, bringing into manifestation the highest, and sometimes the most spiritual qualities of the sign in question. This can be a very powerful influence in the life and character. Conversely, when a planet is placed in a sign in which its highest qualities cannot find easy expression, it can result in some tension, disharmony or discord. The less desirable attributes of the planet may be brought into play, and it requires special effort and discipline to use these energies to their highest potential. "A planet can work harmoniously in certain signs, bringing into manifestation the highest, and sometimes the most spiritual qualities of the sign in question." Each sign of the zodiac is said to have a certain planet as its ruler, and its influence is especially strong when placed in the sign it rules. Here, it is said to be in dignity, and can manifest its particular force powerfully, clearly and harmoniously. Its influence is likely to be strong, and it implies the qualities associated with the planet have been developed and trained in the past, and are now inherent attributes of the soul. The opposite sign to this is known as its detriment, where it is said to be debilitated. The less desirable characteristics of the planet tend to manifest, and it suggests that many important lessons are likely during the course of the present incarnation, and some form of further effort and training is required. The challenge of planets in detriment is to achieve inner peace and true spiritual poise. Each planet has one sign where it is exalted - here the influence of the planet is softened and beautified. It can manifest its finest and best side - often its most spiritual side. It is also very powerful, favourable and propitious. It suggests that much prior life work has been undertaken in developing the qualities associated with that planet. The opposite sign is known as its fall. Here, the its influence is made weak, and its less good side tends to manifest. When a planet is in fall, it suggests that during the course of the present incarnation, the soul has chosen to continue to cultivate the particular attributes in question, and that opportunities to strengthen and develop these qualities will be forthcoming. Attaining mastery at these lessons is the challenge of planets so placed. "Each planet has one sign where it is exalted - here the influence of the planet is softened and beautified." The Sun represents the Spirit, the individuality of the real self, and is a key to the purpose of the present incarnation. It is powerfully placed in the sign of Leo, where it is in dignity. Here, the soul can inspire and enthuse others, and often strong leadership qualities are present. It suggests creativity, organising ability, generosity of spirit, and an expansive attitude, have been developed over many lifetimes. The Sun is exalted in Aries. This position is associated with the link between the heart and the mind, and courage, enterprise and motivation are all emphasised. When so placed, it implies a warm, lively person, direct in approach, with plenty of determination to achieve their goals. In Aquarius, the Sun is in detriment, suggesting a certain detachment, and perhaps some difficulty in relating in depth to others. People here are individualistic and their originality needs full expression. The soul is being offered the chance to develop its friendly and helpful side, and to open up to people, so that a true feeling of brotherhood can unfold. When in Libra, it is in fall. Many with this placement can be easily influenced by others, and so their opinions can fluctuate between two extremes. A lesson here might well be in developing decisiveness, and learning to stand by one s convictions, so that true peace and harmony can ensue. The Moon represents the personality of the present incarnation, its past habits and achievements, the personal emotional reactions, and the receptive side of the nature. It rules Cancer, and here bestows sympathy, sensitivity, persistence of effort, deep emotions and strength of will. Many with this placement have psychic gifts and intuitive awareness. It is exalted in Taurus, which is linked with the building of the higher emotional bodies. A hopeful, positive and reliable nature has evolved, and it implies the soul has worked on steadying the emotions. The Moon is in detriment in Capricorn, suggesting that lessons to develop patience and acceptance are being undertaken. By careful planning and structure in the life, any tendency to over caution or depression can soon be overcome. It has its fall in Scorpio, where it is possible for sudden and sometimes uncharacteristic outbursts of emotion to surface. The soul is being urged to control and positively direct these powerful energies so that its real inner strength can be brought into manifestation. Mercury in the horoscope relates to the mind, and is known as the planet of wisdom. It is unique among the planets in that it has both its dignity and exaltation in Virgo, and by definition, its detriment and fall in Pisces. In Virgo, it endows practical ability and a capability for demanding, intellectual work. The critical acumen is heightened, and it suggests that the mind needs to draw on powers of discrimination and clear-sightedness to work at its highest potential. Mercury also rules Gemini, and here the mind has great versatility, and the capacity to concurrently and successfully deal with a variety of matters. The urge to acquire knowledge and communicate it to others can be strong. When in Pisces, Mercury can highlight the need for organisation, and concentration. People with this placement may find that under stress they can lose themselves in fantasy, rather than meeting any problems head on. Their active emotions need a practical outlet, and so immersing in any creative pursuit that appeals would be very helpful. Mercury is also in detriment in Sagittarius, where the spirit can be restless, and an insatiable need for challenge is often present. Here the soul is afforded the opportunity to consciously develop persistence of effort. 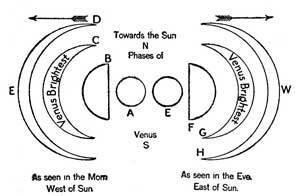 Venus is the planet of beauty, harmony and unity. It is in dignity in Taurus and Libra - both conferring the natural qualities of deep affection, and consideration for others. Relationships are important to these souls, and they desire to nurture those that come into their lives. In addition, an appreciation of beauty and the fine arts may have stemmed from past life work. Venus is well-placed in Pisces, its exaltation, in which sign the wealth of feeling, and warm sensitivity brings especial joy in sharing inspirational activities. At its highest level, this placement exemplifies the transformation of human love into the realisation of universal love. A less easy placement for this planet is Scorpio or Aries, where it is in detriment. In Scorpio, Venus occasions a deep intensity of feeling which may be difficult for others to understand, and there can be an inclination towards jealousy or possessiveness. This placement offers an opportunity to learn to positively and fully express this depth. In Aries, Venus is lively and passionate, and people with this placement like to be the one to initiate a relationship. They can be inclined to put their own needs and ideas too forcibly, so may need to counter this by developing selflessness and consideration for others. When in Virgo, the sign of its fall, Venus confers an analytical and critical side, that may look for perfection in relationships. The further cultivation of tolerance and empathy would be very helpful here. Mars is the planet of energy and desire. It is in dignity in Aries and Scorpio, where the high levels of energy and enthusiasm need plenty of outlets to operate at their highest potential. In Aries, there is a certain spontaneity and independence, and perhaps a liking for adventure. In Scorpio, a strong sense of purpose and determination, is evident and the intuition has often been highly developed. Mars is in exaltation in Capricorn, indicating a controlled and disciplined energy, and the will for achievement, so that personal desires can be pursued in a responsible and methodical way. The energy of Mars is less easy to direct when in the signs of its detriment - Libra and Taurus. With Libra, there can be times of procrastination and indecision, and other times when the passions are aroused. Cultivating balance is the lesson here. With Taurus, people tends to work steadily towards achievements, and sometimes an obsessional liking for routine can surface. They are being presented with lessons to cultivate flexibility and resilience. When in Cancer, its fall, Mars once again can accord a tendency to burn energy unevenly. At times, people with this placement will overdo things, or at others will retreat into their shell. This can result in tension and the inability to relax. Learning to nurturing self and others could be one way to overcome this tendency. "When a planet is placed in a sign in which its highest qualities cannot find easy expression ... it requires special effort and discipline to use these energies to their highest potential." Jupiter, the planet of expansion and aspiration, rules the signs of Sagittarius and Pisces. Here, the philosophical side of the planet can emerge, and a deep interest in religion has often been developed over several incarnations. In Sagittarius, it occasions a great potential for growth, and many with this placement become enthusiastic and inspirational teachers. With Pisces, the emphasis is more on an intuitive search for the truth. Souls here are imbued with compassion, benevolence and good humour, and so may feel drawn to a philanthropic, even self-sacrificing lifestyle. When placed in Cancer, Jupiter is exalted, emphasising the more caring and kindly side of the planet. The charitable and protective instincts are heightened, and there is a deep feeling for the well-being of others. Jupiter is in detriment in Gemini and Virgo. In Gemini, although there is basically a happy temperament, there can be some restlessness due to the constant search for knowledge. It can be difficult to sort out the priorities and direction in life, so work with plenty of variety and interest is needed. In Virgo, there can be a preoccupation with detailed perfection, and this sometimes gives rise to a critical or sceptical attitude. A lesson here may well be the need to accept the imperfections inherent in life incarnate. When placed in Capricorn, Jupiter is in fall, and this can suggest an over-concern with the letter of the law, and perhaps too much reticence and self-control. Steadying the optimism and buoyancy of Jupiter, with the caution and reserve of Capricorn may well be the lesson the soul has come to earth to learn. Saturn is the planet of testing and initiation. It represents the limitations of past karma which the soul has accepted, and is working out in some way through the earthly consciousness and practical earth experience. Saturn rules Capricorn, in which sign it enhances the ambition and determination to succeed. The soul here has worked on the development of responsibility, discipline and fortitude. It also rules Aquarius, where objectives are important and adhered to, and faith in the future is usually strong. With this placement, when something is perceived as wrong, the person has the ability to draw on its deep inner strength to counter it. Perhaps the positive qualities of Saturn can most easily be expressed through the sign of Libra, is exaltation. Here, patience, spirituality, good judgement, and impartiality can give a well-balanced attitude to life. Conversely, in Cancer, the sign of its detriment, Saturn can confer a certain amount of inhibition and shyness - especially when young. In this instance, a lesson of the incarnation seems to be in cultivating a positive and hopeful attitude. It is also in detriment in Leo, where a perfectionist attitude, and a liking for ceremony could, without due care, lead the person to work solely for recognition and power. Learning to experience joy in creative work and service can be a lesson here. Perhaps the most difficult placement for Saturn is in Aries, the sign of its fall. In this position, strength and weakness alternate, and conflict can be experienced when faced with challenging situations. There can be a need to overcome negative feelings and to further develop confidence and self-reliance. This article was first published in the Astrological Journal 'Altair' in February 2001. Each chart contains all the planets and signs, of course. This teaches that everybody has in their character the seeds of all the positive qualities and attributes. As can be seen, the placement of the planets in each individual horoscope can suggest the past efforts the soul has made to perfect these qualities, and also the lessons it has chosen to continue to work on in the present incarnation.